We’re starting to wrap up the winter Futsal season. There’s just two weeks left in the league and then we have the US Youth Futsal Nationals. There are 160 teams entered in the tournament and only 20 of them are from the KC area according to the organizers. It’s always a great event and I’m really looking forward to it this year. We had a loopside game this weekend that allowed me to work on playing with a “Fly Keeper”. It’s basically a fifth attacker. It was interesting trying to do it in a game for the first time but the girls started to catch on after a short period of time. We worked on it in training this week and I the have a much better understanding now. Hopefully we’ll get another chance to try it this weekend. Ideally, we’d be down a goal and have a chance to try to get the goal back. I’m going to do an Animated Drill for the Fly Keeper on our YouTube channel if you’d like to see everything that’s involved in using this tactic. “I have a decision I’ve been mulling for some time, and would like your opinion. I believe I’ve made my mind up, but I’m still waffling a bit and I’m solicited input from some coaches whom I trust and respect. – I have a group of relatively talented 2012 kids (including my son), for whom the fall will be their first full ‘club’ season (u8) in our area. – This past Fall, because we had no choice with our rec setup, we already played 7v7 (on a very small field). I hated that and wanted to play 4v4 but lost that battle. 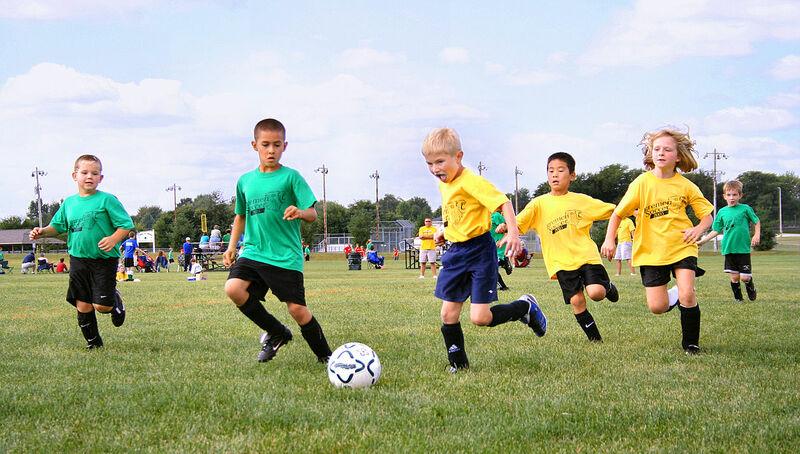 – This coming Spring, I’m going to pull together a team (or 2-3) of kids to play up in the local ‘travel’ league. The kids have outgrown the rec setup which is very small fields playing 7v7, too crowded. – My decision now comes down to: do we play 7v7 or 4v4 in the local travel league. – There are some other minor variables at play (finding right competition, having the right numbers, etc), but, all things being equal, what would you think you’d do? If you had any thoughts on this, I’d really appreciate it. Thanks for the question Trevor! I would go 4v4 if it were me. The kids need to dribble, pass and shoot. IMHO any time spent as a goalkeeper at this age is wasted time. I understand your desire to have it be more of a challenge for the shooter but that wouldn’t concern me as much now as the time they waste in goal. Next week I’m going to look at the U10 age group. As the middle group in Zone 1 it’s interesting because while the players are developing more of an understanding of what’s involved in the game. They still need to be focused on fun and learning rather than competing. I think most reasonable coaches of older age groups will agree with your assessment of what needs to be the focus at the U8 age group. 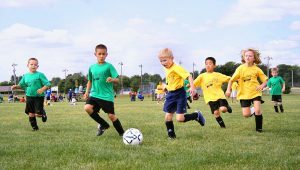 In your U10 Podcast, can you touch on what should be done if you are coaching in the U10 age group and you inherit players that were not instructed as you suggest at the U8 level? I currently have 20+ U9/10 girls, many of them have come from a much too competitive environment where they were told to play in particular area of the field and pass the ball here or there, rather than having their dribbling and ball mastery skills developed. One side effect of that is that the kid may have also not had very much fun in that competitive environment! So I often find, I need to go back to the very basics with my players. I’d love to hear your thoughts on what to do!! That’s a great point Joseph. I definitely include that in this week’s show.